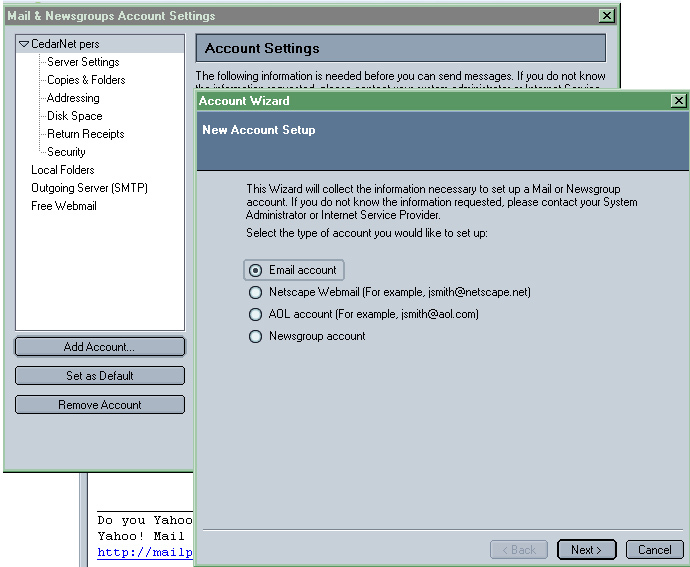 **If you are opening it for the first time, Netscape's email will automatically start the wizard...skip to step #4. 1. Click on Edit, then select "Mail &Newsgroups Account Settings. 2. 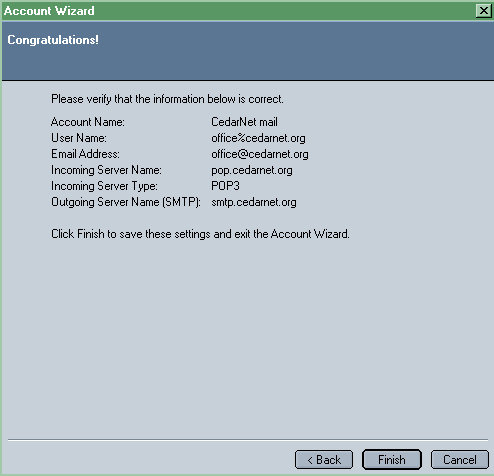 Click on the "Add Account..." button in the lower left corner to start the wizard. 3. Select "Email account", then click "Next". 4. Type in your name, as you would like it to appear to everyone who receives your emails. 5. Type in your email address, as assigned by the office; then click "Next"
6. Select "POP" for the type of server. 12. Type in the name by which you want to refer to this email account; then click "Next". 13. Verify that all of the information is correct. If you spot any errors, you can correct them by pressing the "Back" button until you come to the problem. Once you are sure all of the information is correct, click "Finish".